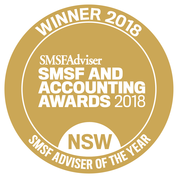 I am breaking the Budget down in to bite size chunks with strategies to consider going forward for SMSF Trustees. The first part which dealt with pension strategies is available here . This second part deals with changes to contribution options, methods and caps. Concessional (Pre-Tax Contributions like employer superannuation guarantee (SGC), salary sacrifice and those contributions where you claim a tax deduction). Non-Concessional (Post Tax Contribution like personal after tax contributions and Government co-contributions). The concessional contribution cap will be reduced from the current level of $30,000 to $25,000 from 1 July 2017, irrespective of the age of the individual. The higher cap of $35,000 that currently applies to individuals over age 50 will be abolished. The reduced cap will continue to be indexed in future years in line with wages growth. From 1 July 2018 individuals will be able to make additional concessional contributions where they have not reached their concessional contributions cap in previous years. Access to these unused cap amounts will be limited to those individuals with a superannuation balance less than $500,000. Unused amounts accrued from 1 July 2018 will be able to be carried forward on a rolling basis for a period of five consecutive years. This measure allows some additional flexibility in the timing of your contributions like making $125,000 for a tax deduction on the sale of a property or share portfolio if you did not make contributions in the previous 4 years. Your ability to save may vary throughout your career and this measure will assist to some extent, but falls well short of my preferred option for a lifetime cap on concessional contributions. The restriction based on size of account balance will add complication to the administration of this measure when multiple funds are involved. From 1 July 2017, all superannuation fund members up to age 65 will be able to claim an income tax deduction for personal superannuation contributions up to the concessional contribution cap ($25,000), regardless of their employment circumstances. This is good news for people who are partially self-employed and partially wage and salary earners, and individuals whose employers do not offer salary sacrifice arrangements, as they will benefit from this proposal. Personal contributions for which a tax deduction is claimed will count towards the concessional, rather than the non-concessional cap. While I accept the government’s intention is to increase flexibility for more people to access the concessional contribution cap if they are able to do so, the mechanism requiring individuals to notify their fund of their intention to claim a tax deduction for their personal contributions will add considerable complexity to fund administration. the “she’ll be right” and “I’ll do it later factor” will lead to many missing opportunities. Over 65’s will still need to meet the work test. From 1 July 2017, individuals with “relevant income” greater than $250,000 will pay an additional 15 per cent tax on their concessional contributions, down from $300,000. The additional tax, referred to as “Division 293 tax” after the section of the tax legislation which governs the tax, will be payable where the individual’s taxable income (including reportable fringe benefits and certain other amounts) plus concessional contributions (excluding those that exceed the concessional contributions cap) is greater than the $250,000 threshold. Superannuation still remains attractive despite this change, the 30% tax applied to concessional contributions is still less than the marginal tax rate on earnings so contributing to super remains attractive. But with the lower $25,000 concessional contribution there will be limited scope for you to make optional concessional contributions. For example, if you earn $250,000 and your employer pays the 9.5% SG on your full salary this is an annual employer contribution of $23,750 which has almost fully utilised the new lower cap. 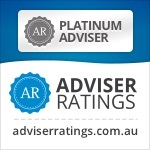 If you are on a higher income with disposable income you may look for alternatives outside superannuation or top up your partner/spouse’s superannuation (and potentially receive a tax offset if they earn less than $37,000). After earlier reports that the threshold would be reduced to $180,000, the proposed threshold of $250,000 means the tax will apply to only around 1 per cent of superannuation fund members. Retention of the existing mechanism which minimises the administrative costs to superannuation funds associated with this tax is welcome. contribution to the individual’s superannuation account, the offset will apply to the contribution tax deducted by the superannuation fund. The Australian Taxation Office will determine an individual’s eligibility for the LISTO and advise their superannuation fund annually. The fund will then contribute the LISTO to the individual’s account. The government will consult on the implementation of this scheme. The government will increase access to the low-income spouse superannuation tax offset by raising the income threshold for the low-income spouse from $10,800 to $37,000 and phasing out up to $40,000. This arrangement provides a tax offset of 18 per cent of contributions made by the contributing spouse, up to a maximum offset of $540 per annum. The cap now also limits the ability to use the cash-out and recontribution strategy for members who have triggered a condition of release. We normally used this between age 60 -65 to reduce the taxable component of your account balance. Before considering this strategy you should check the available lifetime cap with your administrator / advisor including all retail / industry funds you have been a member of at any time. Many SMSF members took annual pensions and simply recontributed the payments as NCC every year. DO NOT DO THIS! check your cap first PLEASE! Phew! that was a lot!